Welcome to another installment of If My Book, the Monkeybicycle feature in which authors shed light on their recently released books by comparing them to weird things. 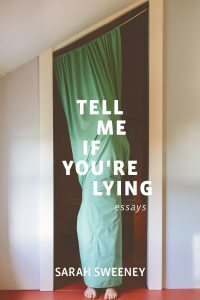 This week Sarah Sweeney writes about her debut essay collection, Tell Me If You’re Lying, just published by Barrelhouse Books. If Tell Me If You’re Lying were a last meal, it would be a pulled pork sandwich smothered with vinegar slaw, hushpuppies on the side, with an icy sweet tea in a styrofoam cup with a lemon wedge on the rim, and for dessert: peach cobbler à la mode. If Tell Me If You’re Lying were getting baptized, its godparents would be Courtney Love and Fox Mulder. If Tell Me If You’re Lying were the contents behind your couch cushions, it would be a broken Marlboro, scattered pot seeds, 20 cents in pennies, one expired condom, and a 7-11 receipt for a couple of midnight hotdogs on March 14, 1997. If Tell Me If You’re Lying were a time capsule, it would be a 90s Caboodle filled with plastic jewelry, Bonne Bell Lip Smacker, a Pepto-pink cassette player—the kind used to record songs off the radio under your covers on a school night—dogeared Sassy magazines, an empty bottle of Zima, and a few stray Ritalin pills. If Tell Me If You’re Lying were getting arrested, it would be charged with reckless endangerment, underage drinking, and three counts of destruction of government property. Its jailhouse phone call would be to the closest Domino’s Pizza. If Tell Me If You’re Lying were singing karaoke, it would choose “Boys of Summer” by Don Henley. 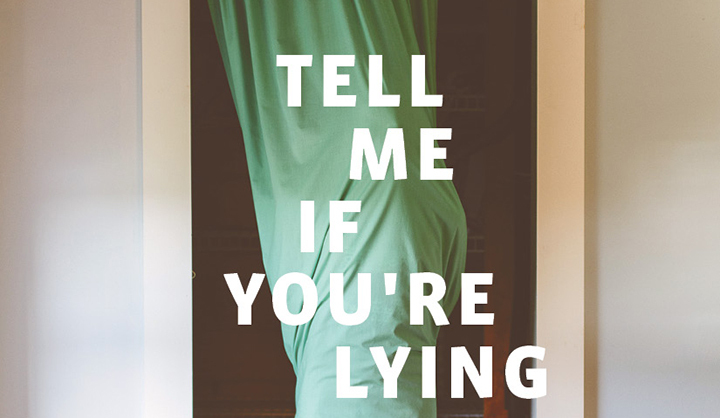 If Tell Me If You’re Lying were a tattoo, it would wrap around the leathered bicep of a mustachioed mechanic and read Wild to be wreckage forever. 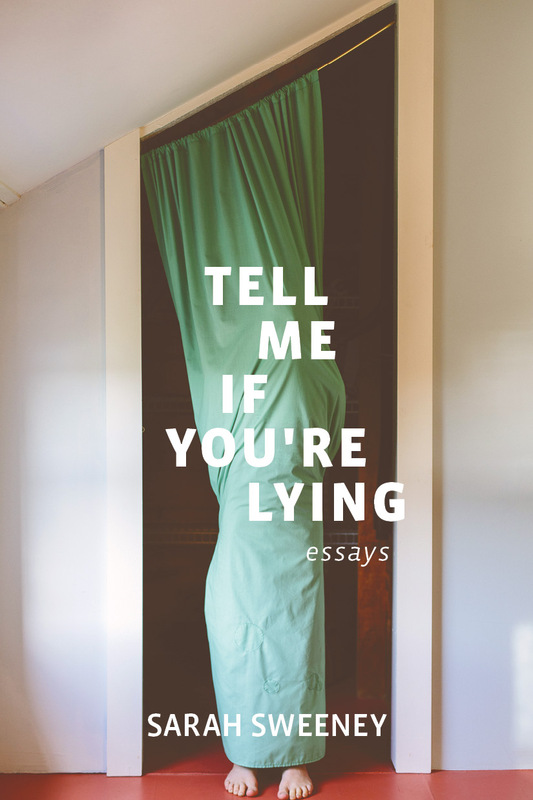 Sarah Sweeney is the author of the essay collection Tell Me If You’re Lying (Barrelhouse Books, 2016). Her poems and essays have appeared in Catapult, Oxford American, Barrelhouse, Greensboro Review, Cimarron Review, Lumina, Quarterly West, PANK, and others. She works as a freelance writer and sometimes lives in Boston and/or Mexico. Find her on the web at www.sarah-sweeney.com and on Twitter at @loosegringa.